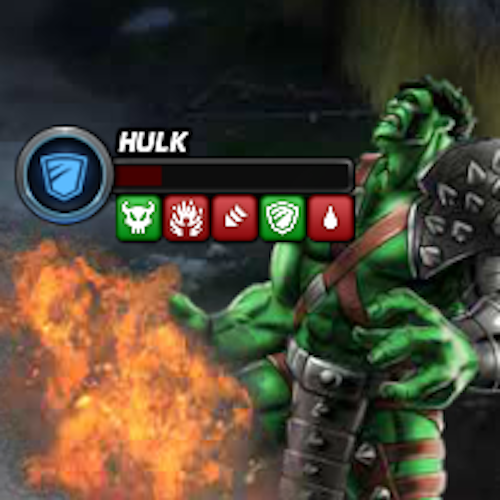 How I opened a can of whoop a$$ on the Hulk. And other social media DOHs. And 3 other social media DOHs. 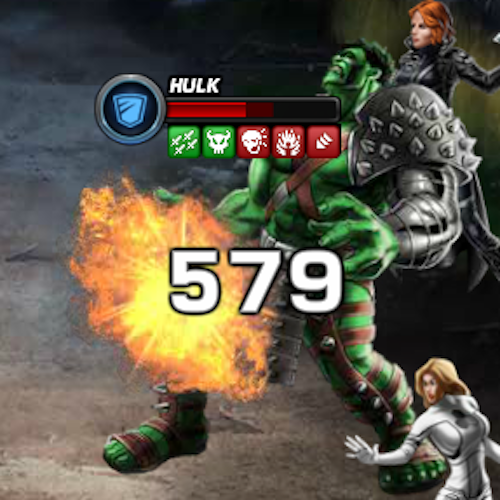 I opened up a can of whoop a$$ on the Hulk. But you don’t have to take my word for it. I gots screenshots. And knocking down the big boys has a lot to do with social media and making bank (someday-somehow). How else are you going to grab for more reach? More eye balls? More views? So I killed the big guy in two shots. But I wish I could have done it in one shot. Here’s the first shot from my trusty, silver, transplutonian rocket pistol. Here’s a screen shot of the second shot – the killing shot. There’s the social proof that, in fact, I did what I said I did. Never you mind that I did the killing in a game. Nevermind too that it’s something anyone can do in a matter of days or months. More importantly, nevermind that your views (and mine) are insignificant indicators of reach, audience and influence. Doh! It’s the shares that matter – not the reach. Do you understand what I’m trying to say here? It’s not all I have to say to you, today. So I was going about my business, knocking down the heroes of allies, strangers, and foes – in my bid to be number one in the PVP (Player vs. Player) side of the Marvel Avengers Alliance game. In fact, I was ranked number one this week for 48 hours. That rank is important because when a million players see that I’m the best PVPer in the Playdom.com game, they know that what I have to say about the game (and life) is something worthy of their attention. If I can be number one this week, I can expect to pull 100,000 views on my blog from the consequent excitement, respect and admiration of my fellow players. And there’s more. I can use that influence to grow an online community around my game triumphs, guides, tips, tricks and cheats. It can also be said that I will make the world a better place (for a moment) – even in the context of a game. Because I am building people up. Maybe, I can even unlock the potential for love, goodness, truth, and beauty within the wider community of players. Because I have people’s attention. If there can only be one, there will be none. Because two good hands ain’t enough. Yesterday, my ranking fell off the top ten PVP list. Several of my in-game friends dethroned me in their bid to rank at 100 or worse. Some didn’t even know they are doing it now. It’s just how the PVP system works. For me, the irony was that is was friends – not strangers. Nor antagonists. Nor fate. I’m not mad at them. In fact, I am proud of them for putting together strong PVP teams. I know too that some of them were doing what they need to do for them to make a bid on the glory and the esteem of others. I understand all of this. As an unfortunate consequence, the heroes of another community (guild) will take the top ranking. And all of us are made lesser thereby. If only my friends were positioned to replace me in my top ranking as a connector, as a mentor, as a communicator, and as a fellow architect of a better world – I would feel really good about how this played out. I do not need the lime light for me or for sake of pride. Nor for a glory that does not shine and overflow with love and the courage to be. But I do need to know that good works are going on. But that’s how the game is structured. Just like it is in social media. And everyone shall diligently and whole-heartedly serve their own personal interests with the same consequences. Just like it is in the real world. I am reminded of the final words of the Prince in the 1996 Romeo and Juliet movie starring Leonardo DiCaprio and Claire Danes. Two good hands ain’t ever enough. Do you got it – the killer-most social app? How do you write a blog post that will capture 1 Million views? This entry was posted on Monday, October 8th, 2012 at 10:08 am and is filed under Blogosphere and Internet, Games, Social Web, Writing. You can follow any responses to this entry through the RSS 2.0 feed. You can leave a response, or trackback from your own site. 4 Responses to How I opened a can of whoop a$$ on the Hulk. And other social media DOHs. “Maybe, I can even unlock the potential for love, goodness, truth, and beauty within the wider community of players. I had to come back after thinking for a bit. And then the truth of of what you’re saying hit me, even though I’m only focusing on influence, and you’ve talked about more than that. Whose attention did I want? And who was ignored to get it? When all is said and done, and all of the games of life are played, won, or lost, I want to look at those who have been closest to me and be able to say that because I served them, got to know them, and lovd them, they have trusted me and I have been an influence (hopefully for good) in their lives. They are the ones who really matter at the end of the day…or a life. Those closest to our heart, like strangers and friends from a farpoint, are best served in action. By example. By seeing us give of ourselves and doing it with certain success. It’s not enough to win the tournament – that is just the beginning of setting an example and modeling the love. Thank you, Bill. You build people up, my friend. You build people up – and that includes me.